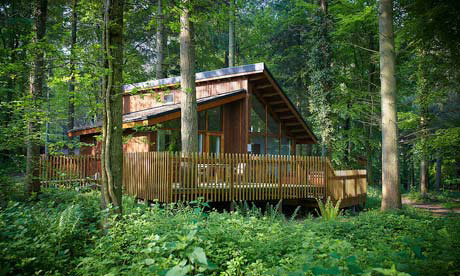 We are so lucky in the UK to have such amazing countryside to visit – and with the summer hols in full swing, we were delighted to hear that one of the places we love the most, Westonbirt Arboretum, is part of the The Forestry Commission and Go-Ape’s Camping in the Forest and Forest Holidays. They have joined forces with Visit England to promote our woodlands as great places to play and stay. The More in the Forest campaign promotes summer holidays in and around England’s woods and forests (Visit www.forestry.gov.uk/more for information). From cycle trails; to walks; to adventurous zip-wires; star-gazing; den building and even sailing, there’s plenty to keep the whole family entertained this summer. There’s so much to do, why not stay over? The Guardian have a special web page http://www.theguardian.com/discover-englands-forests with a fab interactive map. They are also hosting two amazing giveaways – to win a week long action packed stay with Camping in the Forest and Go-Ape or a three night luxury break in a forest lodge with Forest Holidays. The Forestry Commission manages around 1500 woods and forests across England, including over 1000km of cycle track, forest roads and bike parks dotted through the rugged landscape. Red and black trails, steep slopes and tricky corners will challenge the most expert of riders, whilst green trails are perfect for family outings. Bikes are available to hire at many Forestry Commission sites. We really fancy trying out the zip wires and canopy crossings on the Go Ape Tree Top Adventure and Tree Top Junior. Our friends live really close to the Moors Valley Country Park in the New Forest and we’re looking forward to a bit of horseriding down there later in the summer too. Also check out the Camping in the Forest’s campsites and take them tree climbing and den building in the heart of the forest! Many Forestry Commission sites organise sessions on den building, pond dipping and survival kills. Take a look at the Forestry Commission England events page for more information – www.forestry.gov.uk/events. There’s so much more to enjoy in England’s woodlands. Why not branch out and discover a new one next time? Just look for the Forestry Commission sign and you’ll be guaranteed a great day out. Oh, and I’m on twitter.com/OurGreenerLife too… Erm, and funnily enough on Facebook and Pinterest! Pop over to say hello x Like it? Pin it!